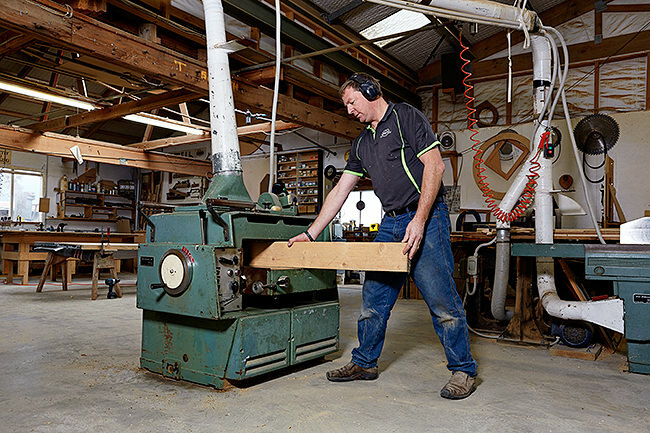 The Joiner Shop was started by Fraser and Suzanne Syme in December 2000. Fraser, a qualified joiner and carpenter with over 25 years experience in joinery along with staff Luke, Andrew, Liz, Dave and Bev offer all the benefits of dealing with a friendly local company in a relaxed and happy atmosphere. We can offer expert helpful advise and recommendations on all aspects of your project and our team would love to help you with your next new build, renovation or commercial project. We operate in Kaikoura, Canterbury, Marlborough and further. The Joiner Shop is a member of the Registered Master Joiner. All work is done in our well-equipped workshop by our experienced team. 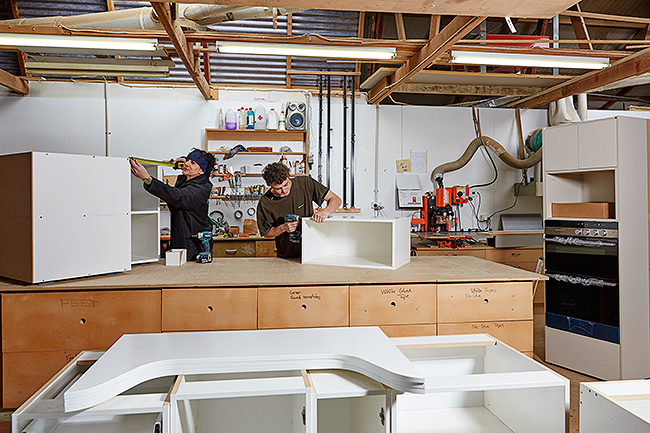 While many building companies may no longer offer in-house joinery, we’re proud to have quality craftsmen on our staff with the skills to build technically challenging, bespoke designs. 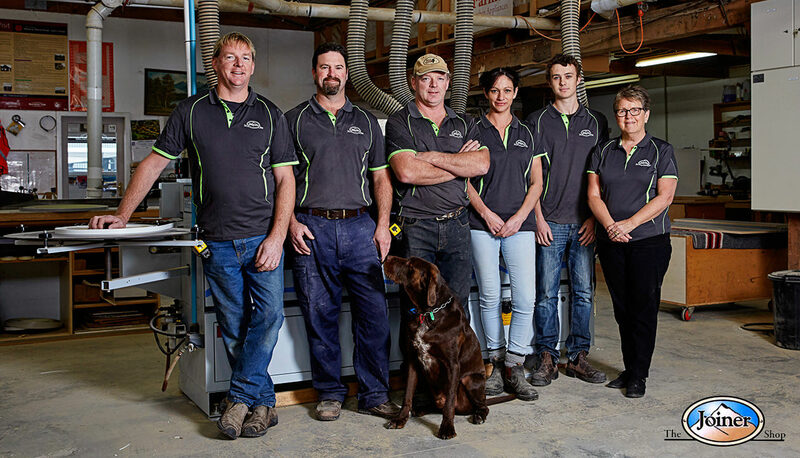 And we’re committed to preserving the skills and knowledge our joinery team possess, it is the ethos of what we do. 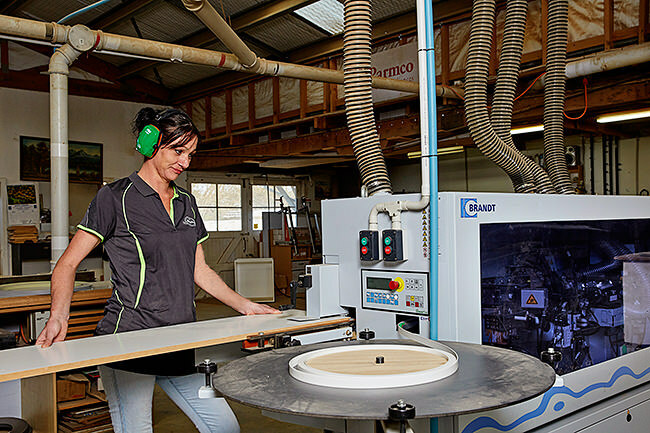 Many of our clients appreciate the unique value our craftspeople offer. The difference in the quality of their work, where the norm is mass produced joinery, is obvious. Our joiners love their craft and whether you have a one-off piece or a bigger project, our skilled team will deliver top class workmanship and results.